What are the qualities of a leader? Is leadership about wielding immense power and controlling people? Vijay Crishna gives us quite an interesting picture of a true leader, one that challenges preconceived notions and puts to rest ideas of demanding subservience. Vijay Crishna, at his talk Leading from Behind at the International Centre Goa, Dona Paula, presented the audience with a story of courage and endurance to inspire and motivate. He did not lay down specific rules but recounted the life of a man. As Crishna says, ‘He failed every objective set in life, but when tested to the length of his endurance, he came up trumps. This is the greatest survival story of them all. Something we can all learn from.’ The man Vijay Crishna is talking about is Sir Ernest Shackleton. Antarctica, the world’s seventh continent, is not only as precarious and lonely as it was in Shackleton’s time; it has become significant in the climate change phenomenon with its capacity to hold 70 percent of all of Earth’s fresh water. One of the remotest places on the planet, Antarctica is subject to katabatic winds of over 200 miles per hour and has deep crevasses (Up to 150 feet deep and 50 feet wide) and glaciers. ‘Nothing in our comfortable world prepares us for Antarctica,’ says Crishna. The Antarctic midge is the only living entity that can survive the conditions inland. It is furthermore the driest place on the planet, and it has not rained in Antarctica in the last million years. The family forms the individual character and this fact is supported by social scientists. So it was in the case of Ernest Shackleton, the second child of ten (with eight sisters and a younger brother). He instinctively took on the role of the elder brother, being protective and caring, and later in life he was noted for his ability to respond with deep feeling that bordered on being feminine. With so many siblings, it was inevitable that he would become a good listener. This was one of the attributes that helped him during his expeditions. He was a below average student who decided to join the Merchant Marines and worked his way up from loading and unloading cargo to leading an expedition to Antarctica. In 1901 the Royal Geographical Society of England, fearing that other countries might accomplish the task before them, persuaded the Royal Navy to carry out an expedition to the South Pole. They were crippled already by an attitude of eschewing the fraternising of naval officers with the rest of the crew. Being able to mingle with the rest of the men was essential to being able to adapt in the harsh Antarctic conditions. The choice of pulling sledges themselves rather than using dogs for the purpose was another fatal mistake. Shackleton was part of the Discovery Expedition to Antarctica with Royal Navy officer Robert Scott. After contracting scurvy, he was sent back home by Scott with the suggestion that he was unfit for polar exploration. This created a rift and a rivalry between the two men. In 1907 Shackleton led the Nimrod Expedition, which brought them within a 100 miles of the South Pole before they realised they would run out of rations on their way back from the Pole, and so they returned home. This decision brought Shackleton fame and a knighthood. A second expedition (Terra Nova) from 1910-1913 would be the undoing of Scott and his team as they clung on to impractical ideas such as not using skis, and dogs to pull sledges. After Scott’s disastrous Terra Nova Expedition, Shackleton set out again in 1914 towards Antarctica. Shackleton’s crew on the Imperial Trans-Antarctic Expedition aboard the Endurance was expected to undertake any sort of work as rank was not a defining factor. He had a resilient team with Frank Wild (first officer), Frank Worsley (captain), Tom Crean (second officer), Frank Hurley (Australian photographer), James Wordie (Cambridge scientist) and others. Positivity was the key attribute Shackleton expected in his men because it would fuel endurance during the long voyage. Even his choice of meteorologist Leonard Hussey was for the man’s musical abilities, which Shackleton believed were vital to mental faculties. There were weak links too in the form of seamen such as John Vincent. The capable leader that he was, Shackleton handled the troublemaker and bully Vincent by pulling him into his cabin one day and dealing with him in person rather than shaming him in front of the others. No one knew what transpired between the two but after that Vincent was a changed man. 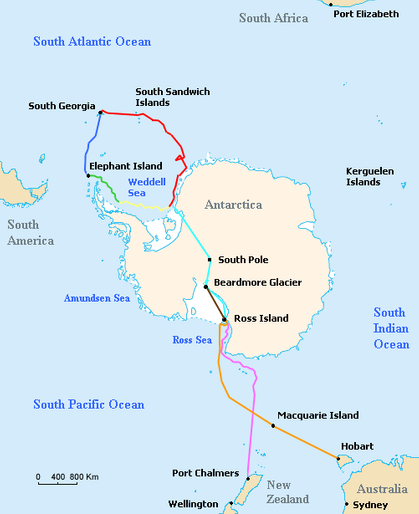 Sailing to a whaling station in South Georgia, Shackleton discovered that the winter ice had already set in even though it was only December (summer time in the southern hemisphere). Despite this set back to his plans the crew sailed towards the Pole on 5th December 1914. They were cut off from the rest of the world in a precarious situation with only a radio receiver as they could not afford a radio transmitter. Soon ice began to form around the ship preventing it from moving and the Endurance was converted into a winter station. Shackleton shifted his objective from reaching the Pole to getting his men back home safe and sound. To keep their minds agile, he urged them to continue working and playing games. For as long as six months the men seemed cheerful in spite of their conditions, however the arrival of winter saw the ship breaking up due to the movement of the pack ice and the crew had to abandon ship. Shackleton continued to maintain calmness, transferring hope to his men as the ship went down, and concentrated his efforts on getting his men home. At one point, the ship’s carpenter, McNish, refused to take part in pulling the three lifeboats they had to the mainland, citing ship’s law that he was no longer obliged to participate in the work as the ship no longer existed. 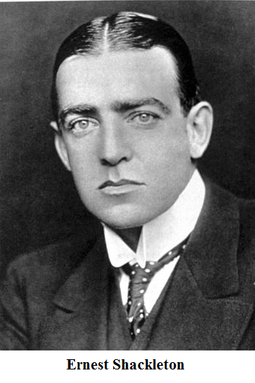 Shackleton convinced him that he was bound to Shackleton and not the ship and that Shackleton would personally see to it that McNish received his wages. It was not the truth, nonetheless it prevented the outbreak of non-compliance among the men. As days passed they began to survive by shooting seals and penguins for meat. Shackleton refused to stockpile meat as he believed this would send a signal of impending disaster to his men which would in turn create stress leading to insanity. For Shackleton, starvation was preferable to insanity. Soon the dogs they had with them were gradually killed for meat. Once the ice floes broke up again, they set the lifeboats to sail and battled despondency, lack of food and water, the vagaries of nature as well as diarrhoea in the case of some men. They reached Elephant Island after days of tumultuous sailing thanks to the expert navigation of Frank Worsley. It was decided that one lifeboat would go for help using the best route, which meant they would have to sail all the way to South Georgia (800 nautical miles away). Surprisingly Shackleton chose a small crew of able men which included Worsley, McNish and Vincent to accompany him. McNish and Vincent were selected on purpose to allow him to keep an eye on them. They reached land after 16 days in a 22-23 foot boat and it remains the greatest open boat journey to this day. Unfortunately for them, they landed on the wrong side of the island and now the boat was too damaged to be taken out to sea again. They had to make it on foot in uncharted territory with an estimated 32 miles to travel to Stromness Bay where the whaling station was situated. 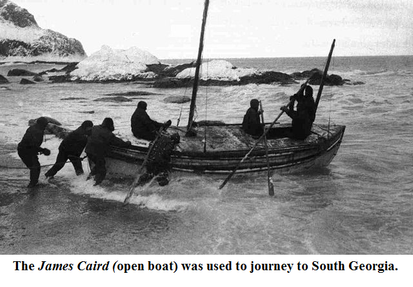 Shackleton, Worsley and Crean walked the perilous journey leaving the others, who were too weak, behind. They walked for 36 hours before they heard the ships’ horns sound at 7am at Stromness Bay indicating that they had arrived at their destination. 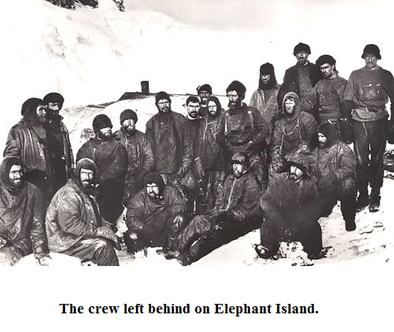 The remaining men on the other side of South Georgia and Elephant Island were rescued without the loss of a single life. Ernest Shackleton had made good his promise. The brave leader died of a heart attack during his fourth expedition to Antarctica in 1922. No matter that the computer age surges on, making many human roles redundant, there will always be the need for leaders who can hold people together and surmount hurdles with qualities of empathy, social sensitivity, storytelling, collaborating, solving problems together, building relationships and so on. Ernest Shackleton stands as one of those great examples of leadership we can all look up to and emulate. *Bio: Vijay Crishna is the executive director of Lawkim Motors Group, Godrej & Boyce Mfg Coy Pvt Ltd for the last 39 years and the executive director of Godrej & Boyce Mfg Co Ltd since 2008.